Fundamental Disagreement: How Much and Why? Everyone disagrees, even professional forecasters, especially about big economic questions. Has potential output growth changed since the financial crisis? Are we bound for a period of “secular stagnation”? Will the European economy rebound? When is inflation getting back to mandate-consistent level? In this post, we document to what degree professional forecasters disagree and discuss potential reasons why. In a recent working paper, we document a set of novel facts about disagreement among professional forecasters over the last thirty years. We focus on the “trinity” of U.S. output growth, inflation, and the policy rate for different forecast horizons with particular emphasis on the very long run. The chart below shows the average disagreement for the trinity of variables for the years 1986-2013 for professional forecasts ranging from one quarter (Q1) to six-to-eleven years (Y6-11) ahead. The forecast disagreement comes from the Blue Chip Financial Forecasts (BCFF) survey, which we have used previously to understand reactions to the August 2011 Federal Open Market Committee (FOMC) statement. This survey has been conducted monthly since the early 1980s and asks participants to provide forecasts at different horizons. It is the longest-running survey that includes forecasts at short, medium, and long horizons for our three key U.S. macroeconomic variables. This breadth ensures that we can study forecaster disagreement through different phases of the U.S. economy such as the disinflationary period over the 1980s and the Great Moderation. We measure disagreement as the difference between the average top ten and bottom ten forecasts in the survey. The chart shows that forecasters disagree about output growth and inflation, not just in the coming quarters, but also at very long horizons. Furthermore, disagreement about the long run—which we call “fundamental disagreement”—can be lower, higher, or the same as disagreement for short forecast horizons. Most notably, forecasters disagree very little about the near-term outlook for the policy rate, but substantially about its long-run value. For example, at the longest forecast horizon the difference between the forecast of the highest ten responses and the lowest ten responses has, on average, been a sizable two percentage points! The next chart shows that disagreement varies considerably over time. For example, disagreement about the federal funds rate and about CPI inflation has declined substantially since the end of the 1990s, potentially due to enhanced price stability and increased FOMC transparency. Meanwhile, disagreement increased notably about the future path of policy in the aftermath of the financial crisis and the last recession. So why do forecasters disagree? What factors drive forecasters’ disagreement? We argue that professional forecasters (and the rest of us) face two important challenges stemming from their “imperfect information” about the economic environment. First, they only have a foggy view of current economic conditions. For example, GDP data are released with a delay and are subject to major revisions. As a result, forecasters have to produce their own “nowcasts” of this variable. 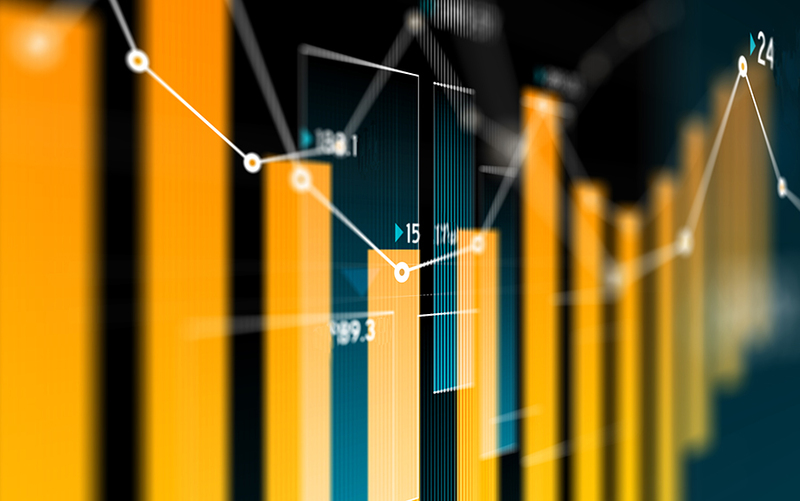 Even if their assessments of current economic conditions are based on the same publicly available data, forecasters interpret the data in different ways. For example, unusually harsh or mild weather would likely affect GDP growth, but forecasters are likely to disagree about its quantitative effects. And while forecasters observe multiple price and cost indexes, those are only noisy measures of underlying inflation trends. Of course, one variable for which all forecasters have a clear view is the federal funds rate which is published daily. However, forecasters can still disagree about its future value since the level of the federal funds rate depends on future values of inflation and output growth reflecting the reaction function of the FOMC. Second, forecasters need to filter from the observed changes in economic conditions the temporary factors from the slow-moving, permanent components of the variables of interest (such as changes to potential output growth). By their very nature, the slow-moving components are very difficult to detect, especially when the economy is being buffeted by multiple shocks as it was during and after the financial crisis. In our working paper, we introduce a simple model which embeds these two factors—uncertainty about current conditions and the difficulty of distinguishing temporary from permanent changes. Our results suggest that both factors are important to match the observed data and, in particular, the second challenge is crucial to explain fundamental disagreement. In the charts below, the gold line corresponds to a model where forecasters do not need to parse temporary from permanent changes to the economy, while the gray line represents a model which embeds both challenges. Clearly, the former model fails to replicate the observed term structure of disagreement even only a few quarters out. The failure is starkest for the long-run forecast of the federal funds rate. So which factor caused the elevated level of disagreement about the future path of policy after the financial crisis? It is unlikely that the quality and availability of data has changed over the last few years. Instead, it is more likely that the elevated disagreement reflects the difficulty in teasing out whether there have been meaningful permanent changes to the U.S. economy. Our model suggests that disagreement about the medium-term evolution of the policy rate can be explained in roughly equal parts by disagreement about medium-term inflation and output growth expectations and disagreement about the longer-term value of the policy rate. Stefano Eusepi is an assistant vice president in the Federal Reserve Bank of New York’s Research and Statistics Group.